It is composed of two set-based data models: the Nested Sets Model and the Inverse Nested Sets Model. It has the same expressive power as the tree, is capable of handling structural and content components of a hierarchy separately, allows us to answer structural and content queries in an efficient and scalable way and it provides efficient methods for managing and updating hierarchies of objects. Nicola Ferro and Gianmaria Silvello. Descendants, Ancestors, Children and Parent: A Set-Based Approach to Efficiently Address XPath Primitives. Information Processing and Management, 52(3):399-429, 2016. Nicola Ferro and Gianmaria Silvello. NESTOR: A Formal Model for Digital Archives. Information Processing and Management, 49(6):1206-1240, 2013. Nicola Ferro and Gianmaria Silvello. Formal Models for Digital Archives: NESTOR and the 5S . Research and Advanced Technology for Digital Libraries - International Conference on Theory and Practice of Digital Libraries (TPDL 2013): T. Aalberg, C.Papatheodorou, M. Dobreva, G. Tsakonas, C. J. Farrugia Eds., Lecture Notes in Computer Science 8092, pp. 192-203. Springer Berlin Heidelberg, Germany. Gianmaria Silvello. A Set-Based Approach to Deal with Hierarchical Structures, Ph.D.Thesis, Ph.D. School in Information Engineering, University of Padua, 2011. Maristella Agosti, Nicola Ferro and Gianmaria Silvello. Handling Hierarchically Structured Resources Addressing Interoperability Issues in Digital Libraries. Learning Structure and Schemas from Documents, Biba, M. and Xhafa, F. Eds., Studies in Computational Intelligence vol. 375, pp. 17-49, Springer Berlin-Heidelberg, 2011. Maristella Agosti, Nicola Ferro and Gianmaria Silvello. Access and Exchange of Hierarchically Structured Resources on the Web with the NESTOR Framework. The 2009 IEEE / WIC / ACM International Conferences on Web Intelligence, IEEE Computer Society, pp. 659-662, 2009. Nicola Ferro and Gianmaria Silvello. The NESTOR Framework: How to Handle Hierarchical Data Structures. Research and Advanced Technology for Digital Libraries (ECDL 2009), in Lecture Notes in Computer Science (LNCS) 5741 series, pp. 215-226, Springer-Verlag, 2009. Nicola Ferro and Gianmaria Silvello. A Methodology for Sharing Archival Descriptive Metadata in a Distributed Environment. Research and Advanced Technology for Digital Libraries (ECDL 2008), in Lecture Notes in Computer Science (LNCS) 5173 series, Springer-Verlag, Heidelberg, Germany, pp. 268-279, 2008. 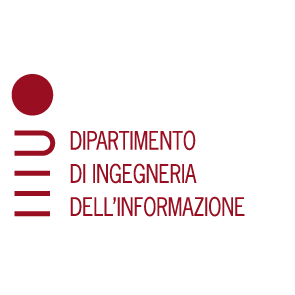 Department of Information Engineering, University of Padua.